U.S. Rep. Peter King, a member of the House Homeland Security Committee, said Russia should have informed Washington D.C. about the radicalization of one of the Boston Marathon bombing suspects and his mother, the Associated Press reports. 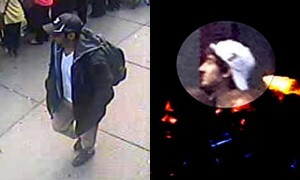 King added that it’s difficult to believe only two people carried out the Boston Bombing suspect. Posted: 4/29/13 at 9:15 AM under FBI, News Story.